World Cup day 15, and with it the last 4 games of group stage for all groups. Today we will have in action Group G & H.
The Group G plays the final matches at 1pm local time in Brazil. Everything is possible in this group with all teams still having a chance to qualify. Germany and USA need only a tie to move on to the round of 16. 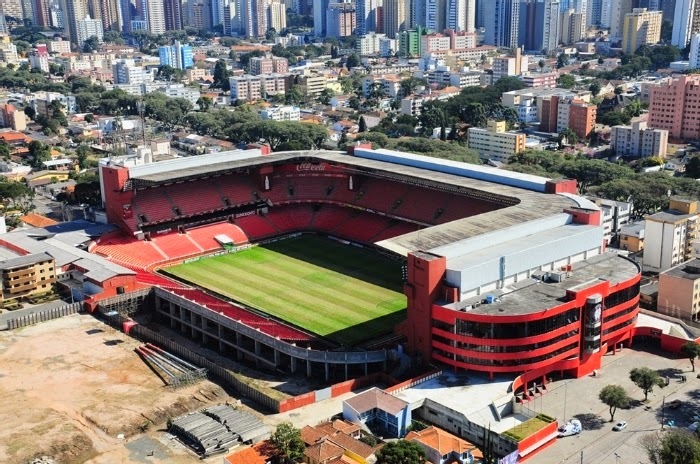 The match will be played at Arena Pernambuco, Recife, which has a capacity of 42,610 people. These two nations have faced each other nine times, with Germany having won 6 of those matches, losing three to the USA. Germany scored 21 goals in those nine matches while USA has 15 goals in those same nine matches. USA and Germany both need a tie to advance to the round of 16. While I don’t expect them to play for the tie, I also don’t expect this to be a high octane game. Germany will most likely rest some of their regulars for this match. That should help USA get a positive result, which would mean they would be playing in the next round. 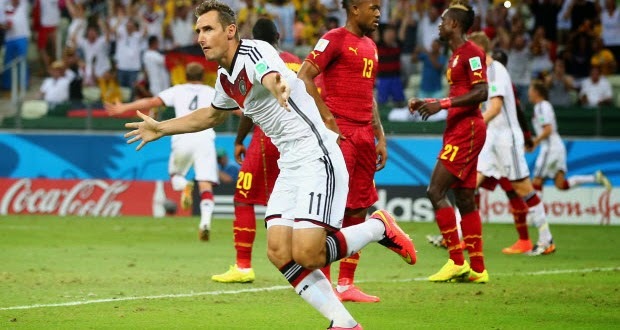 This is the perfect match for Klose to come in and start. Perhaps this is his last chance at becoming the all-time World Cup leading scorer. 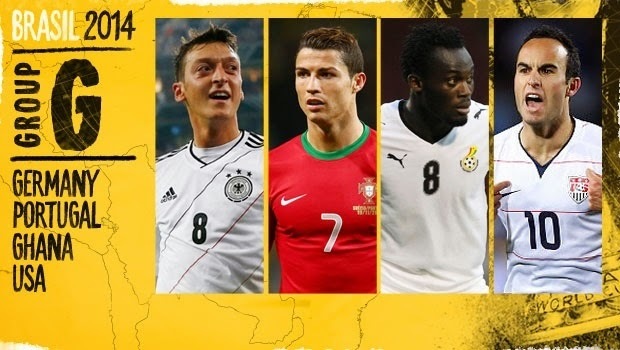 He is currently tied with Ronaldo from Brazil with 15 goals; he needs one more to be at the top. I believe Low will give him the start and that chance. The Group G other match is also at 1pm local time in Brazil. Everything is possible in this group but Portugal would have to win 5-0 to advance or hope that USA loses by a combined difference of 5 goals in order for them to advance. 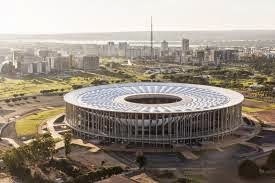 The match will be played at Estadio Nacional in Brasilia, which has a capacity of 69,349 people. These two nations have never faced each other. This will be their first ever official match playing one another. Both teams can advance to the round of 16 but they would need to score a boat load of goals on each other. They are very evenly matched so I don’t expect this to be a high scoring game. Portugal will be missing Hugo Almeida, Postiga and Andre Almeida due to injuries and Ghana will miss Muntari, serving a one game suspension because he picked up two yellow cards in the previous two games. This is it for Cristiano Ronaldo, he will have to put on his best performance yet with Portugal if his country has any chance of advancing. 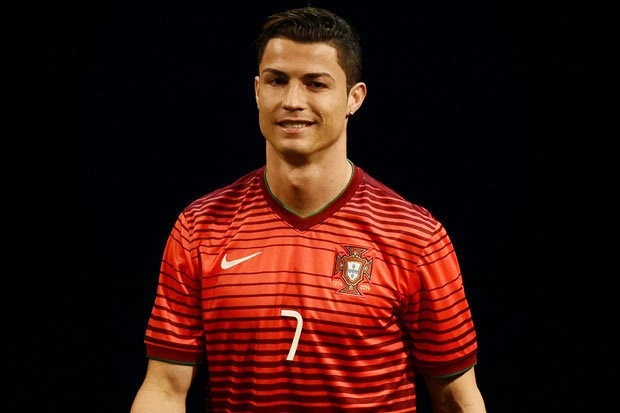 Even then they will depend on a third party, but unless he comes out flying and plays to his full potential this will be a very disappointing World Cup for Portugal and Cristiano Ronaldo. The Group H has their matches at 5pm local time in Brazil. Both Russia and Algeria can still qualify for the round of 16. Russia needs to win, Algeria can advance with a win or tie, depending on what South Korea does in their match. 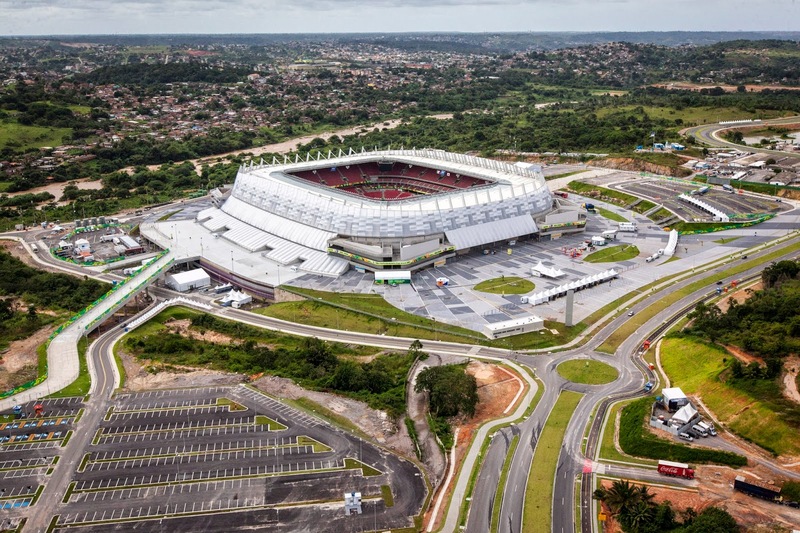 The match will be played at Arena da Baixada in Curitiba, which has a capacity of 39,631 people. These two nations have faced each other once. The game ended in a 2-2 tie. Algeria has looked stronger than Russia, but since both teams need a win I can see this being a very good match. Algeria could possibly advance with a tie, but I don’t think they will want to leave their future in someone else’s hands. Russia has failed to impress, but they can still go through with a win in this game. Slimani from Algeria would be my pick of player to watch. He is a very strong forward, good with the ball at his feet but also very strong in the areal game. He will be fundamental for the success of Algeria in this game. Playing against a Russian backline, his strength and power will create space for his team mates. Even if he is not the one finishing the play he will create opportunities for other to do so. The Group H has their second match at 5pm local time in Brazil. Belgium has already qualified top of the group with 6 points, but Korea Republic still has a chance to make it but they will need a big win and a positive result in the other match. 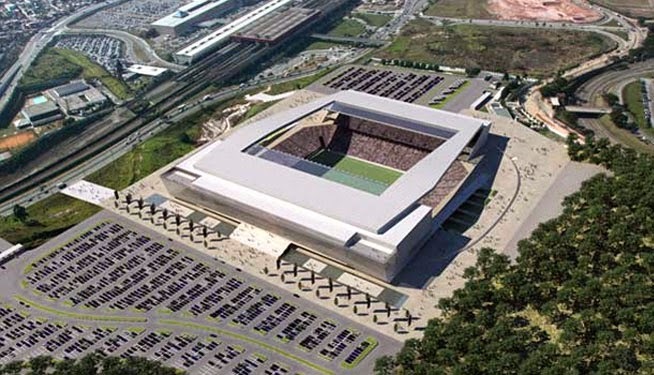 The match will be played at Arena Corinthians in Sao Paulo, which has a capacity of 62,601 people. These two nations have faced each three times. Belgium won twice and drew once. In those three matches Belgium scored 5 goals and allowed 2. Belgium having already qualified should field some of their bench players to rest some of the regulars. Korea on the other hand will have to play the game of their lives if they are to defeat Belgium and having a chance of dreaming with the round of 16. 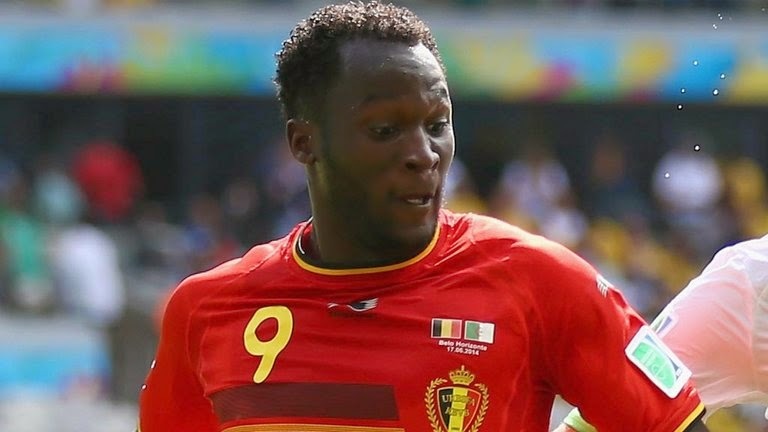 Lukaku will most likely get another start, but his poor performances in the last two games are creating a shorter window of opportunity for him in that forward position. He will have a chance in this game to right the ship and prove to Wilmots that he is the man for the job. Kon: USA 0-2 Germany, Portugal 1-2 Ghana, Russia 1-0 Algeria, Belgium 2-0 Korea Rep.
Pedro:USA 0-2 Germany, Portugal 3-0 Ghana, Russia 1-2 Algeria, Belgium 2-0 Korea Rep.
Iain: USA 1-1 Germany, Portugal 1-2 Ghana, Russia 1-1 Algeria, Belgium 3-0 Korea Rep.
Our Group Stage Predictions. How Did We Do? HOPDAYS - Duvel, the Thibaut Courtois! White Shirts, Red Faces - What Now for England? HOPDAYS - Corona Extra, the David Beckham!